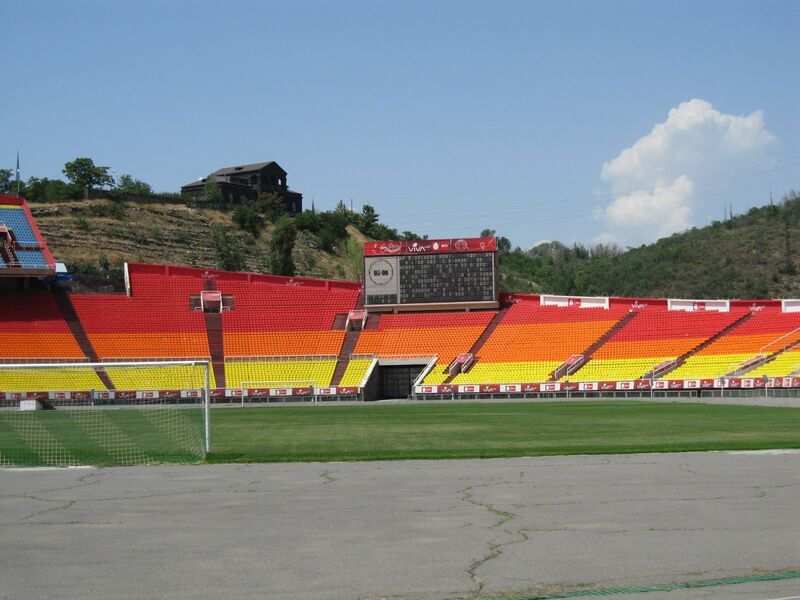 The first idea of building a 30,000-capacity stadium in the steep valley of Hrazdan river came from USSR minister Anastas Mikoyan in 1950s. 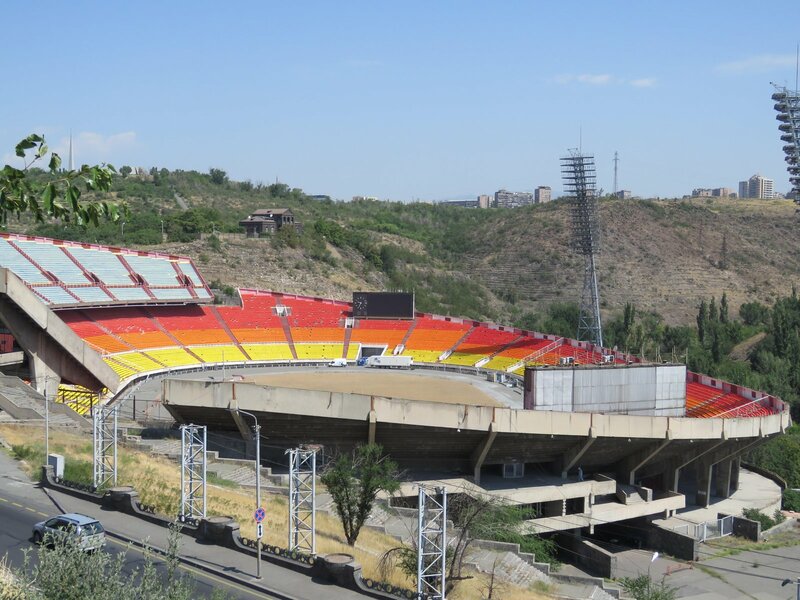 Mikoyan saw the valley as a 'natural amphitheatre', but his vision didn't go further. 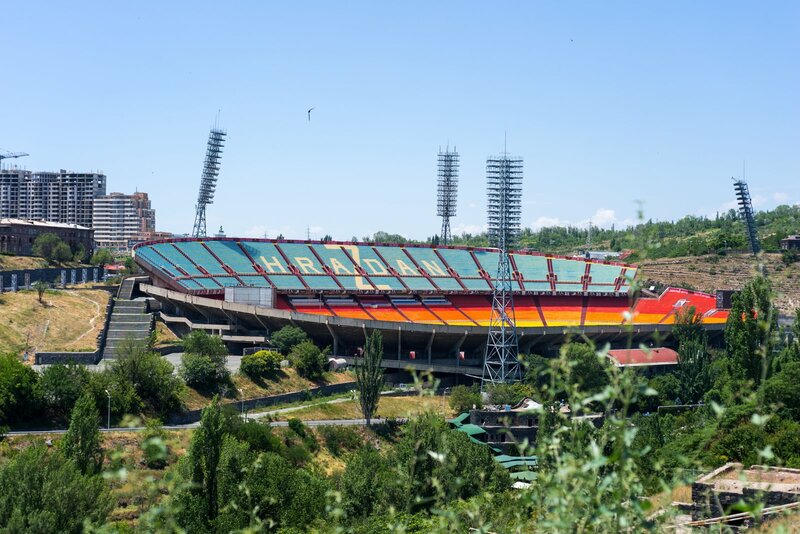 Next approach came in late 1960s, when Armenia was to celebrate the 50th anniversary of its sovietisation and this time the idea grew to a 75,000-capacity stadium, construction of which began in the summer of 1969. 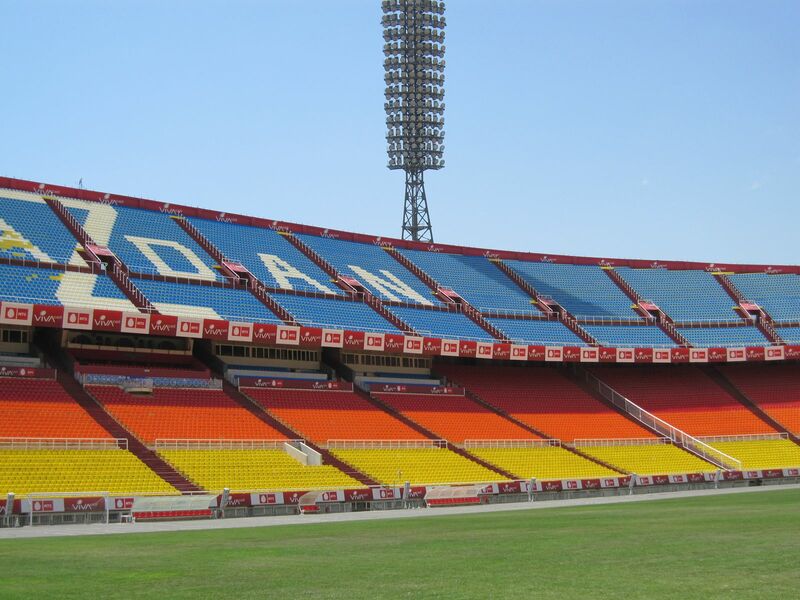 Despite difficult location and scale of the project, entire construction was done by late 1970, in just 18 months. 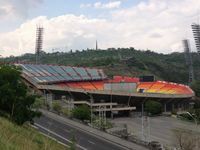 Designed by local architects Koryun Hakobyan and Gurgen Musheghyan, the stadium utilised the previous idea of Mikoyan, with stands sloping along with the land, towards the east. 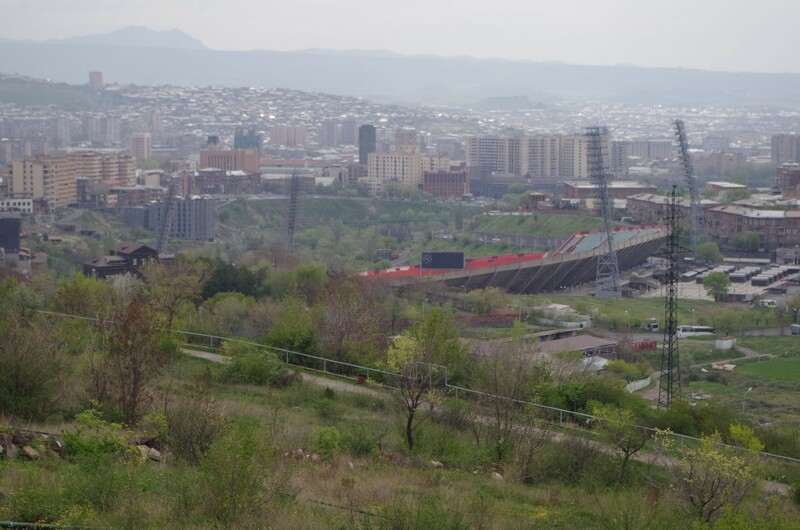 This allowed to create a dynamic and dramatic effect as well as gave fans on the taller west stand an overview of eastern Yerevan. 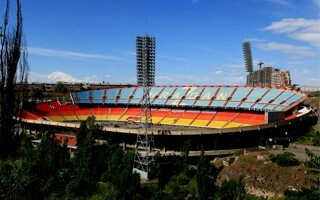 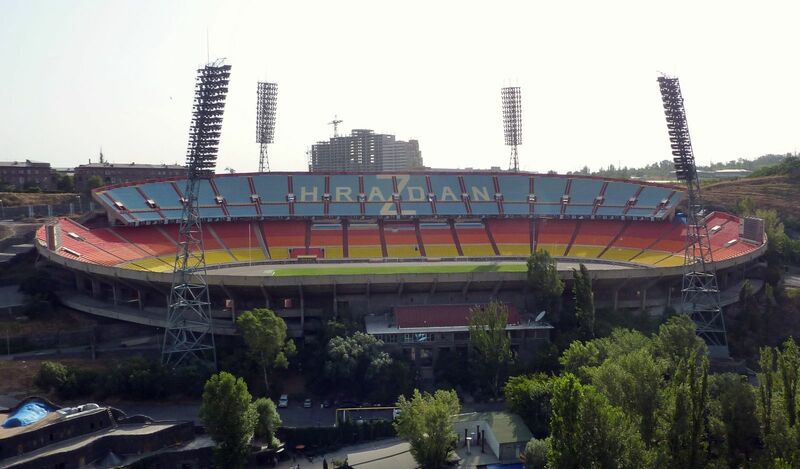 Together with fast construction the stadium was ranked as best new build of the USSR in 1971. 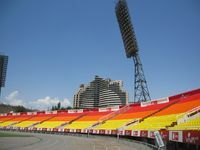 Though opening ceremony took place in November 1970 (with Leonid Brezhnev himself in attendance), the very first game was played in May 1971, as winter passed. 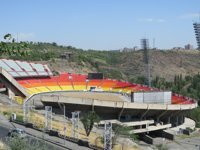 That match still stands as record for attendance in Armenia with 78,000 people reported inside the stadium. During USSR times it was host of most important domestic games in the republic of Armenia, as well as the Soviet league clashes of Ararat Yerevan and even two international fixtures of the USSR national team. 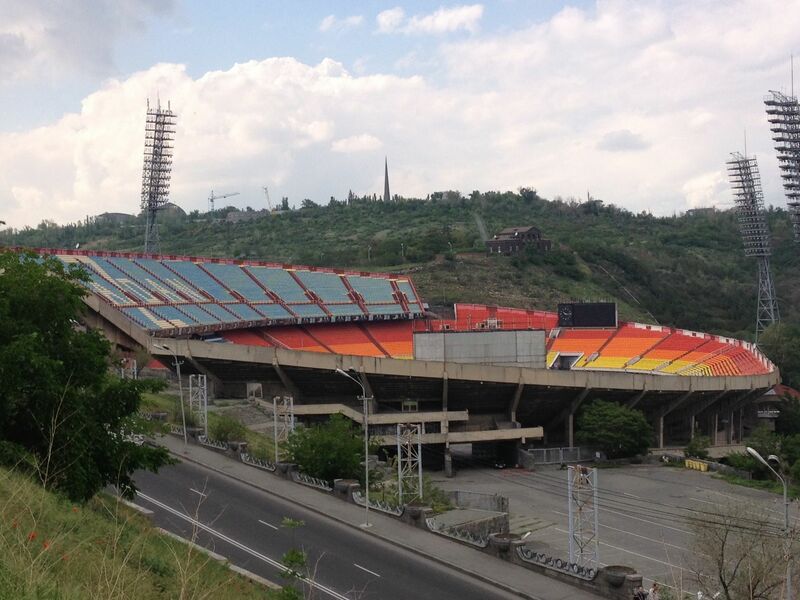 After the Union fell the stadium became Armenia's national ground, but proved too big and difficult to maintain. It was thus privatised in 2004 and during 2005-2008 converted into an all-seater. 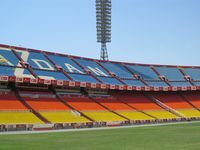 Worth mentioning, it hosted no game of the national team between 1999 and 2008, as matches were shifted to the smaller Republican Stadium. 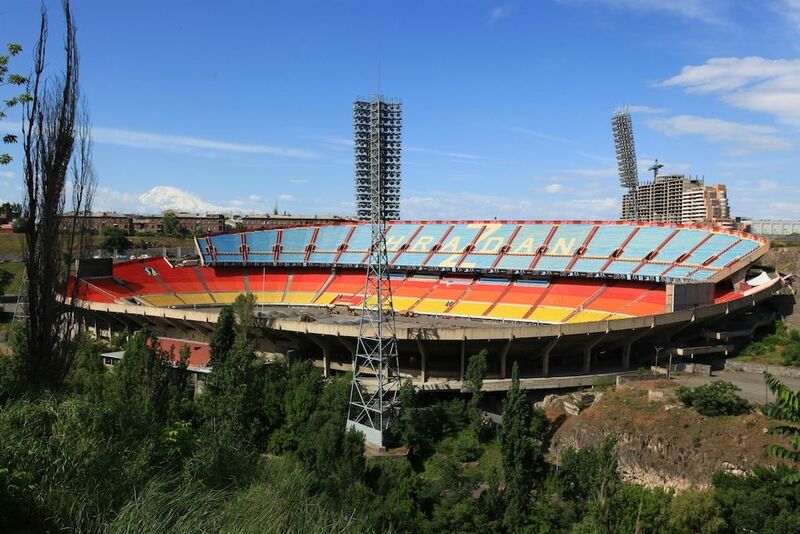 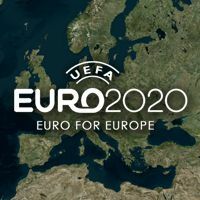 In 2012 further works began to allow the stadium bid for UEFA club competition finals.